Since advertising content has left the print media market in favor of the media space, there is a fierce struggle conducted in the display advertising area for users’ attention. Modern automated system today helps webmasters to choose the most favorable location of their advertising banners, so users can identify them organic. Depending on the ad banner location CTR index can vary up to 5 times. 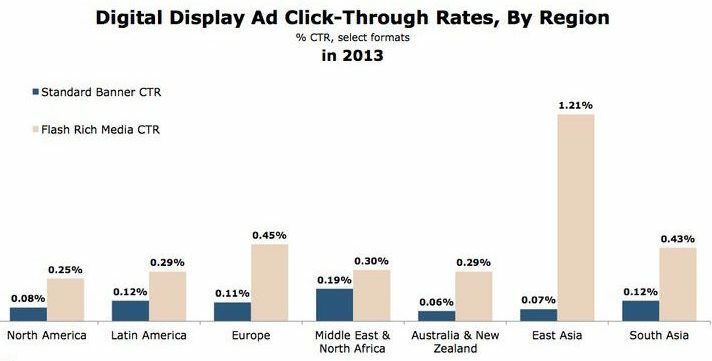 Across all ad formats and placements CTR of the traditional display ad is 0.17%. So, this is less than 2 clicks per 1000 impressions showing the difficulty of driving response from online ads. The following are the average CTR depending on the placement of different advertising banners. The highest CTR (0.19%) rates belong to MPU format view. Located from the right at reader’s eye level and in line with a main context it is easy to be caught and recognized. According to IPG Media Labs and Sharethrough people interact with native ads 53% more often than with traditional ad banners. Here are the native ads index compared to traditional display ads. Native ad platform Adnow.com usually use recommendation widgets, blocks under the articles and blocks within the article. As it can been noticed from the screenshot, the location of ad banners significantly affects the CTR indicators. Our experience shows, the most effective is an ad block directly under the article: after the article reading, the user is ready to accept any further information and to link the website of an advertising product. Ad block inside the article is least popular, because the user is not willing to interrupt the reading of the article for acquaintance with the advertising product. As we can see from the data tables, ad native numbers performance significantly higher than the standard digital advertising. In general, it is applicable to all countries and product verticals. 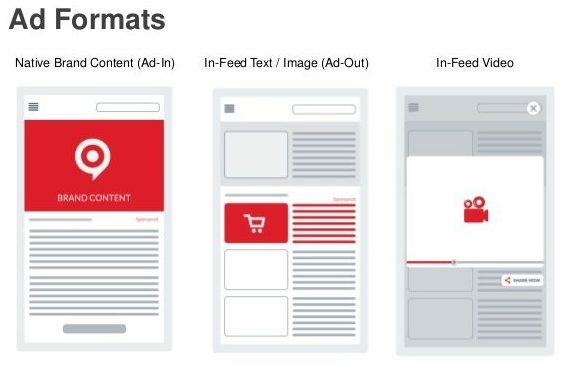 Using a native advertising platform like Adnow, advertisers are able to create content that looks very «native» on site and has a high degree of confidence, which later leads to a higher CTR and conversion rate increase. Choose your ads and placement wise! Monetize and advertise the most efficient way! *Adnow is the native advertising company. Adnow provides 100% native traffic. All its websites have search (60%). Average Adnow ad has about 1% CTR.